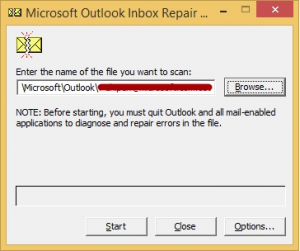 This article will give you information about how to repair Personal Storage Table Outlook pst file using scanpst.exe also called as Inbox Repair Tool. This Tool can recover data in Outlook 2016, 2010, 2007, 2003 and 2002 Personal Storage File by a method of sacnpst.exe. 1. Open Outlook 2010 or 2016. 1. Open Outlook 2002 / 2003 / 2007. Note: Once you copy PST File follow the method given below to know how to repair pst using scanpst.exe. 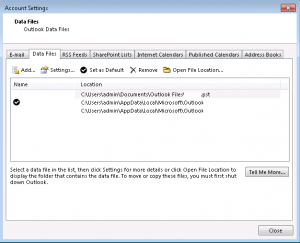 Above steps can be used to locate Outlook 2016,2010, 2007,2003 and 2002 PST File. Before initiating PST File recovery. We need to know that there are two methods to run Inbox Repair Utility(scanpst.exe) and restore personal data storage. 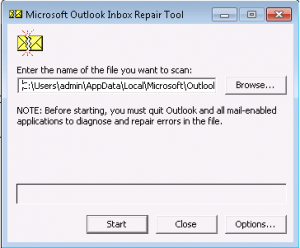 These steps are given below to repair PST File using Inbox Repair Tool. 1. Go to Setup of Inbox repair Tool and run it. You can find the setup inside Microsoft office folders. 2. 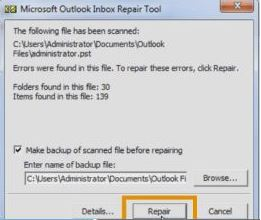 Browse PST File to repair it using scanpst.exe. 3. Remember to take backup of Personal storage table file before using this application. 5. The recovered Items as shown below are found in Lost and Found Folder. 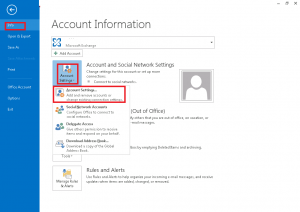 Once the repair method is performed, Create new PST from Outlook original file and Attach that file in Outlook again. 2. Even if the file is recovered, the Permanent deleted and corrupted data will not be recreated under any circumstances by this tool. 3. Although all the no corrupted data can be recovered using the method mentioned below. 1. 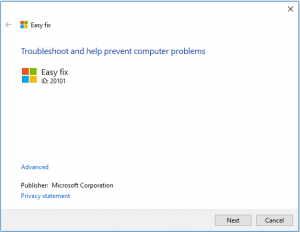 Download microsofteasyfix20101.mini.diagcab from Microsoft website and Run it. 3. 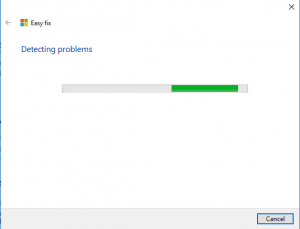 This will Automatically find scanpst.exe and repair PST File. The above article describes the details of Personal storage table File location and methods to repair them using Inbox Repair Tool. To recreate and restore PST File using scanpst.exe is possible. 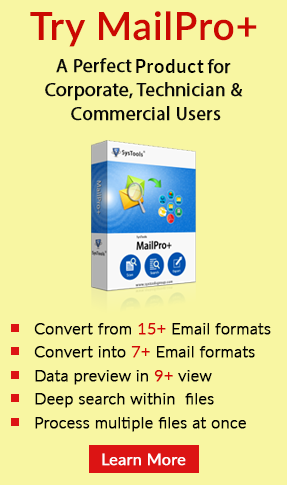 But, there are errors that user get even after using Inbox Repair tool. Due to these issues, it is recommended to a user that they may use Personal storage folder Recovery utilities that help them renew PST Files using Inbox Repair Tool. These utilities also split large Personal data file into small parts and effective in handling corrupt issues in the Personal storage table.